Bariatric Surgery World takes privacy seriously. The following statement reveals what you can expect from us regarding any personal data that you share with the site, and your rights and responsibilities associated with it. At Bariatric Surgery World, we understand the importance of protecting the confidentiality of medical and health-related information and other personal data provided by our clients. The protection of your privacy is kept in mind while designing and operating our system, and we make every effort to safeguard the patients’ data in accordance with all applicable legal requirements. To serve our clients well and help them with medical services and travel coordination, Bariatric Surgery World either collects information directly on its website, or though offline forms. We may ask for some details of the clients including name, address, phone number, and email address. The information will be used to contact visitors to provide them information regarding our company, our medical and travel networks, and to talk about interest in our services. We are not a medical practice; we will not evaluate your information or provide any medical advice based on the same. 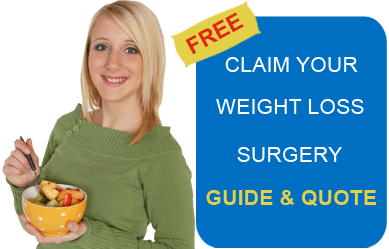 Bariatric Surgery World has several links to other websites. By providing such links we do not intend to endorse or promote their products/services. Also, we hold no responsibility of the content or information provided on these sites and are not accountable for their privacy practices. Bariatric Surgery World does not record or track user visits; the information about the identity of our clients and their visits to our website are not recorded. A small file called “session cookie” is sometimes written on the user’s computer, and it expires when the user leaves the website. The information retained by session cookies only lasts during the session or for completing a particular online transaction; these cannot track users as they visit different sites over time.